Chi Alpha (XA) Christian Fellowship is a passionate and diverse community of Rutgers students who simply want their lives and college years to made a difference in world. Our core focus is based on three things; JESUS: (Devotional Life), FRIENDS: (Authentic Community) and MISSION: (Real Responsibility). We want to connect with you! Join the Family, Change the World!! Who we are and where we meet can be found here, WHO WE ARE. The Rutgers Chi Alpha family! Join us this FRIDAY, MARCH 1st at 8:00pm in the BUSCH STUDENT CENTER MPR. Event details are on the FACEBOOK EVENT page (click graphic) on the Rutgers Chi Alpha Christian Fellowship FB Page. JESUS. 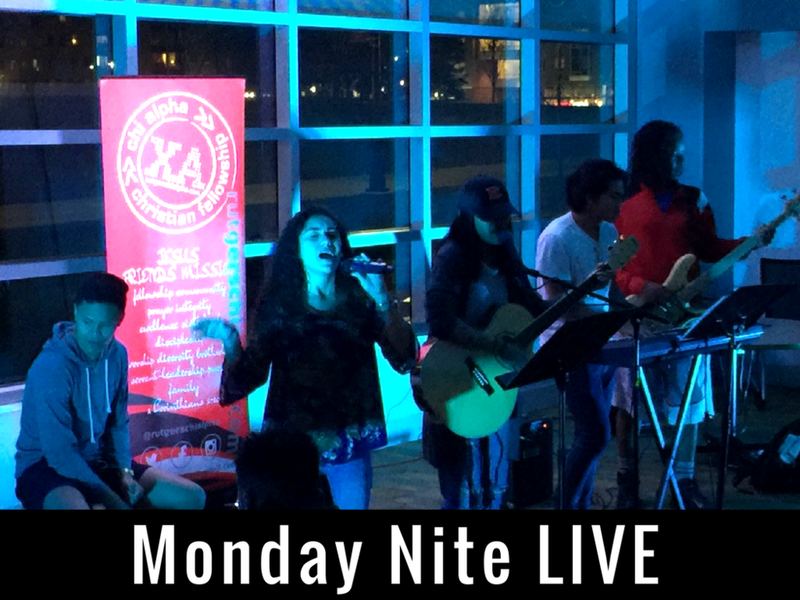 MNL is a large group gathering of new and old friends with LIVE worship, prayer and teaching from God's Word on relevant topics. The atmosphere is live with music and sometimes lots of laughter. Walk in new and leave with friends. Join the Family. FRIENDS. LIFE GROUPS are men's and women's small groups that meet each week all over campus for the express purpose of building life long relationships and learning and growing in Christ. PS...also catching dinner, hanging out, serving together. MISSION. It's about making your life count wherever you are, either around the World on a Missions Trip (like Mexico, India, NYC in 2019), serving the homeless in New Jersey or discovering ways to impact the students of dear ol' Rutgers. Change the World. Your DONATION is making a DIFFERENCE GLOBALLY!